Enchanting. Spellbinding. 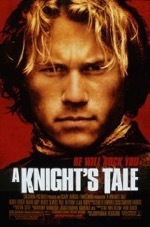 This is simply one of the most amazing, moving and magical movies I’ve ever seen. 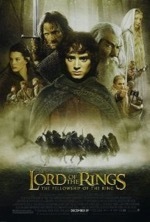 The Fellowship of the Ring excels in every category (acting, directing, music, etc.) and leaves you craving a sequel. 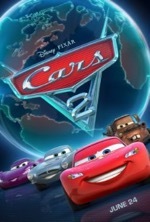 My vote for movie of the year. 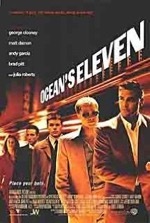 Once Ocean's Eleven gets going, it’s an amusing, star-studded romp that depicts a daring heist in a major Vegas casino. The plot never tips its hand fully until the end, and the final series of twists is quite good. 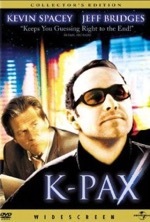 K-PAX is a slightly off-kilter movie that's enjoyable just for that reason. Bridges and Spacey deliver fine performances and the plot is engaging enough to keep you guessing until the emotional climax. The message K-PAX leaves you with is powerfully poignant. 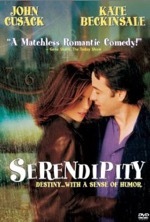 A slightly better than average love story, Serendipity works because the romantic leads have great chemistry and because of the fateful book that reunites them. John Cusack and Kate Beckinsale are supported by some great performances by Jeremy Piven, Molly Shannon and Bridget Moynahan. The snow angel on ice scene stands out as one of the most memorable in the movie. I was pleasantly surprised by this one. 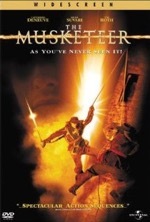 The Musketeer has a halfway decent storyline, action sequences that stay just inside the boundaries of believability and boasts the best villain I've seen this year. The set design is Oscar-worthy. 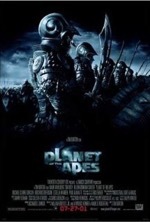 This new Planet of the Apes doesn't have it all, but it has enough engaging elements to make me recommend it. Character development is predictably weak, but the plot is surprisingly solid and kept me guessing right up to the final, fateful twist. 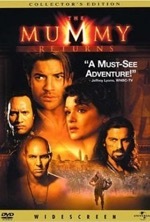 Great special effects, good directing, fair acting, weak plot and poor character development equals a mediocre sequel. 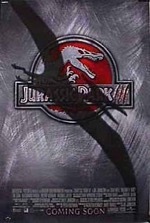 Jurassic Park III is a T-Rex leap better than the previous film, The Lost World, and yet it didn't make me jump. Nothing new here. 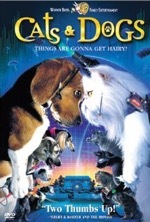 After suspending my disbelief, I found this to be a rather humorous look at the age-old battle for supremacy between felines and canines; kicked up a notch. A talking animal picture that entertains and bolsters family values is okay by me. 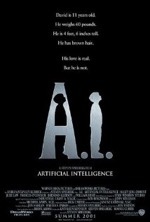 Two diametrically opposed directing styles collide in A.I., producing a moody, avant-garde film. 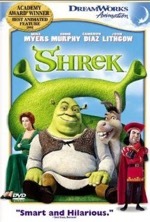 Every aspect of the movie soars except for the story, which makes the movie memorable for its unfulfilled potential. Osmet is a gem. The problem with so many modern movies? 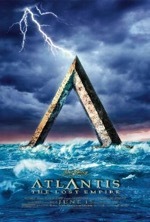 Great special effects mated with anemic plots. 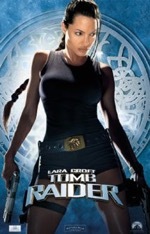 This movie is no exception, and adds bad taste to the mix; gratuitous scenes reveal the true star of the movie...Jolie's physique. 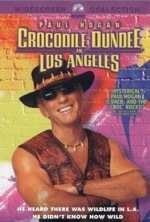 This, third, Crocodile Dundee movie is one sequel that should not have been made—it’s a terrible waste, mate. Paul Hogan’s jokes land like anvils and the story is as pedestrian as heck. This is the prime example of returning to a dry well. The Mike Tyson scene is silly as is the skunk rescue sequence. The only remotely funny moment in the film is at the posh Hollywood party where Dundee regales humorous episodes with his good friend “Mal” Gibson. Sean Connery plays agoraphobic William Forrester, renowned author of two best-selling novels, who entered seclusion at the height of his success and now exists as a curmudgeonly recluse in the Bronx. Enter Jamal Wallace (Rob Brown), a gifted writer who Forrester reluctantly takes under his wing (after the teen breaks into his apartment on a dare), teaching him the finer points of how to craft the Great American Novel. 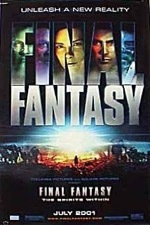 Jamal’s impressive grades pave the way for him to attend an upper crust school, where he makes friends with Claire Spence (Anna Paquin), but one of his teachers, Prof. Henry Crawford (F. Murray Abraham) has it in for him, claiming the young African American student is plagiarizing other famous works. The climactic scene, where Forrester visits Jamal’s class and reads one of his protégée’s works, is the moment of the film, very gratifying. 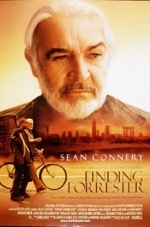 There’s nothing revolutionary about Finding Forrester, but as a character study and a tale of self-discovery and friendship, the movie passes with flying colors.